Detecting multi-stage attacks that move laterally through the internal network requires a pervasive, flexible and scalable security architecture. Adversaries will get into the network; the challenge is to detect, mitigate and stop their threat as soon as possible. 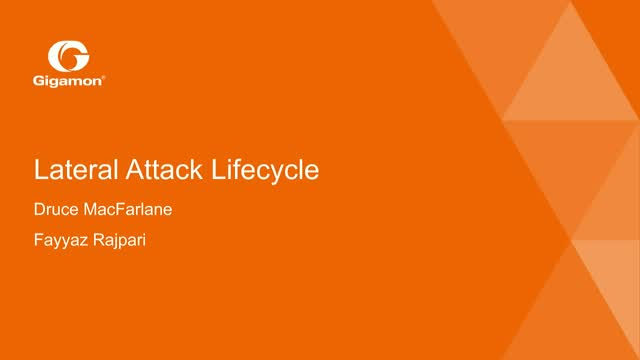 Register for this webinar to learn how to identify and respond to laterally moving threats. FireEye Network Security combined with the GigaSECURE® Security Delivery Platform offers customers flexible deployment options and scalability for optimal threat protection. With network-side visibility and options for both inline and out-of-band deployments, APTs can be spotted and contained quickly and efficiently. The combination of FireEye Network Security and the Gigamon GigaSECURE Security Delivery Platform architecture helps ensure traffic is analyzed and threats are detected in real time, allowing administrators to quarantine or delete harmful data before it damages their business operations. Learn more by registering for this webinar today!